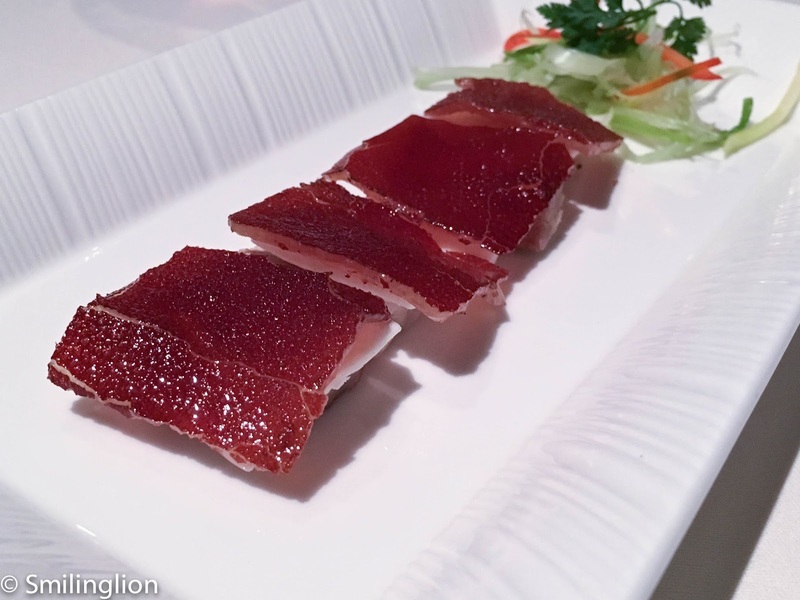 Lung King Heen is probably the first Chinese/Cantonese restaurant to have received three Michelin Stars, in fact it has held that distinction since the entry of the Michelin Guide in Hong Kong in 2008. 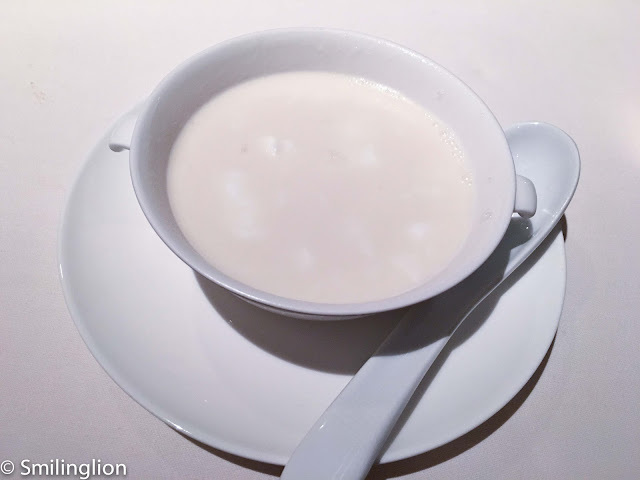 Since then, there has been countless debate on the criteria on which Chinese restaurants are graded to be awarded Michelin stars and whether it is even appropriate to subject what is essentially a communal dining experience to comparison with the traditional European fine dining model. Some of the best Chinese restaurants in the world have been known for brusque and inattentive service, an atmosphere so loud and rowdy that it is difficult to hear oneself think, a non-existent wine list much less a qualified sommelier, and no concept of individual plating of food. Contrast this with what has been accepted to be uncompromisable requirements for a two or three Michelin starred restaurant, i.e. highly customised service, posh and elegant dining environment, curated wine list and professional sommelier and deliberate individualised plating of food for each diner. However, with the recent phenomenon of culinary tourism and the growth of the Michelin Guide's global reach as well as that of other restaurant ranking organisations (like the San Pellegrino List), there has been a convergence by top and aspiring restaurants around the world into a acceptable common dining standard, perhaps so that it will be easier to rate and rank them among themselves. This has resulted in many of the premium Chinese restaurants subtly changing the way they provide the fine dining experience, for example, many have invested in improving their knowledge and inventory of fine wines, changed their ambience to suit smaller dining groups who prefer a more intimate atmosphere, prepared cuisine more suitable to individual plating and above all, sharpened service standards. 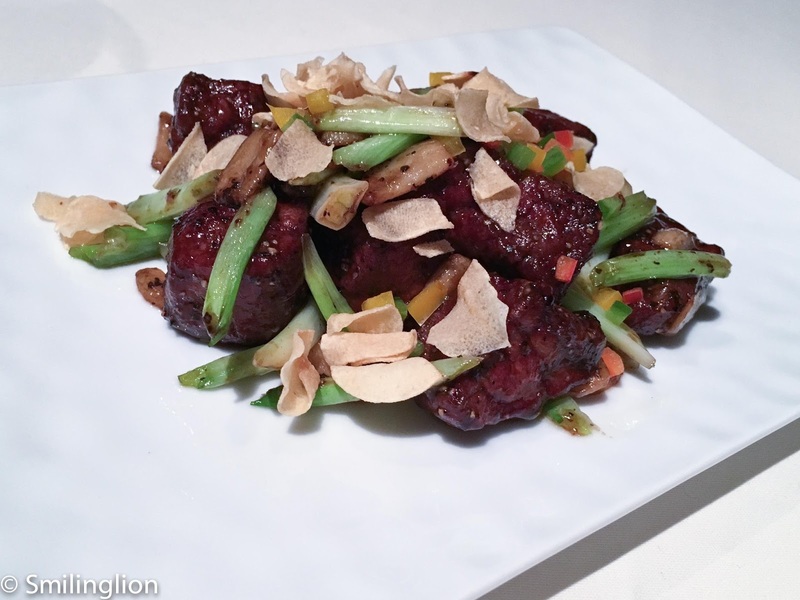 And amongst all the Chinese restaurants we have dined at over the past decade or so, no one has done this better than Lung King Heen. Set in a prime location on the fourth floor of the luxurious Four Seasons Hotel, it has spectacular views of the iconic Hong Kong Harbour (which probably explains why the restaurant had such a muted ambience which was unusual for a Chinese restaurant in Hong Kong; diners were too distracted by the view to engage in their usual conversations). We were given a cozy table with a window view, and presented by a choice of champagne as a aperitif. 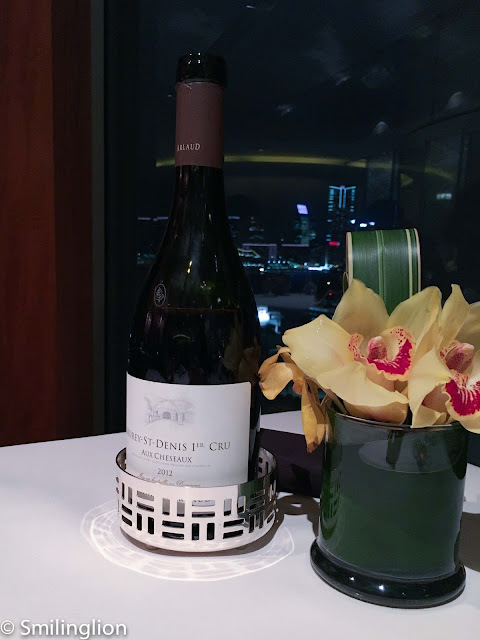 Service throughout the night was first rate, and the wine list was well crafted as well, from which we picked a 2012 Morey St-Denis 1er Cru which turned out to be a perfect match for our meal. 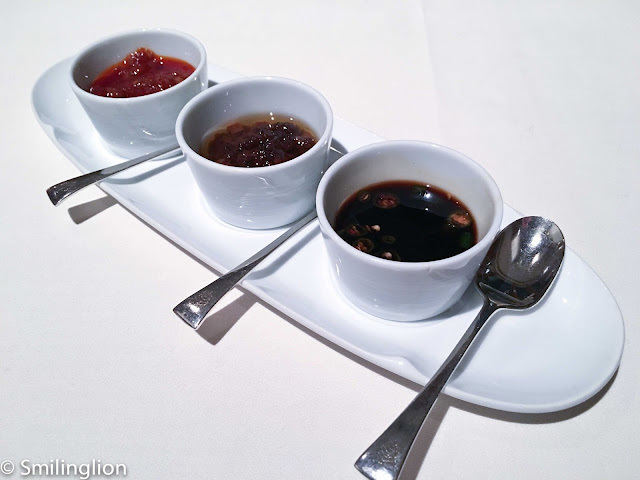 All these, though unusual for a Chinese restaurant, was certainly standard fare at a three Michelin star establishment. Unfortunately, that was also true of the price of the dinner; the tasting menu cost about as much as that of a three star French restaurant in Paris. Price aside, we thought the food was really very good. 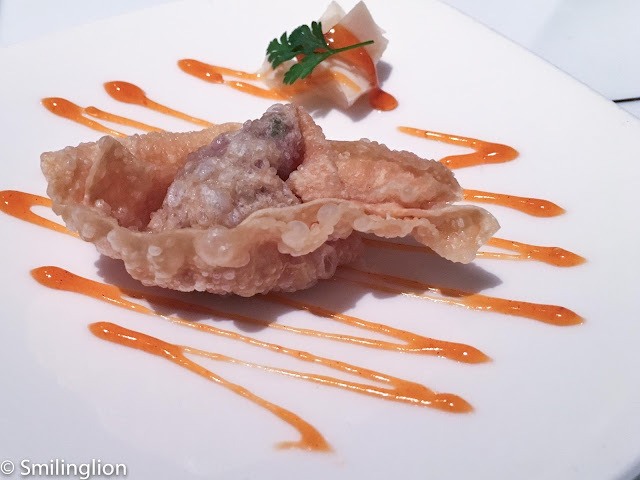 After the amuse bouche of Deep Fried Beef Wonton, the dishes were served sequentially with a good rhythm. 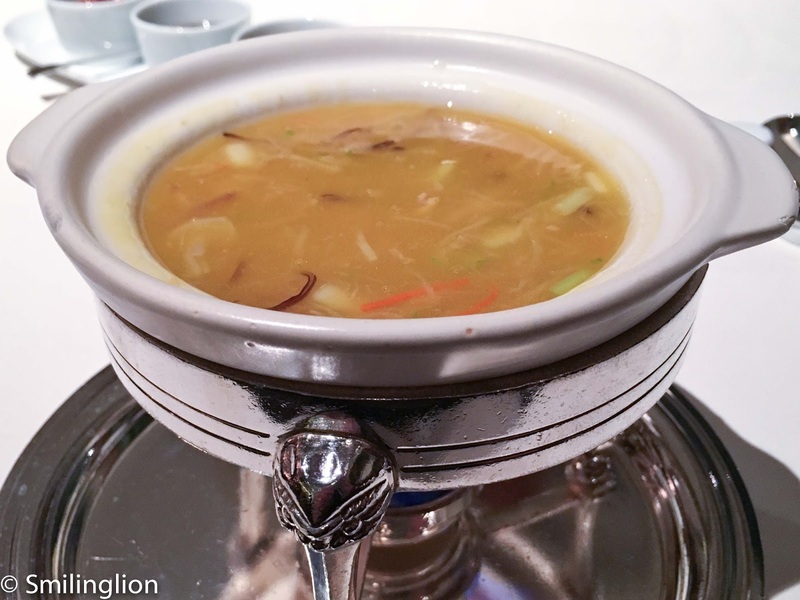 This was Cantonese cuisine at its most refined. 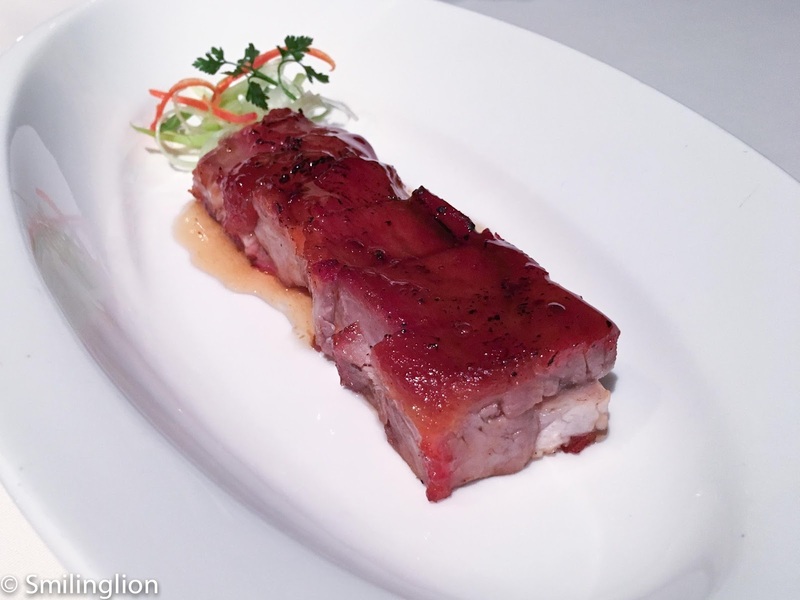 For example, the Barbecued Pork with Honey was quite spectacular, as it was incredibly succulent. The Barbecued Suckling Pig was also superb, with the skin roasted to such a precise crisp. 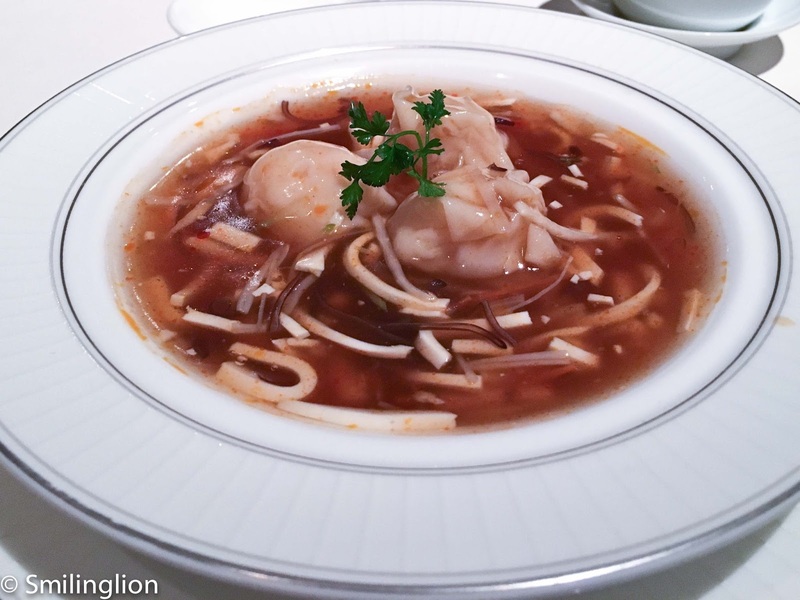 The soups (Superior Pottage with Shredded Chicken and the Hot and Sour Tofu Soup with Shrimp Wontons), a Cantonese staple, were predictably excellent as well. 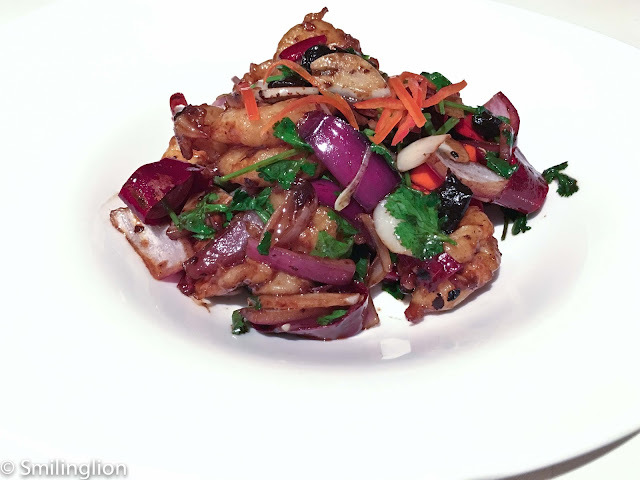 The Wok-fried Prawns with Organic Black Garlic and Dried Chilli and most notably the Wok-Fried Australian Wagyu Beef with Spring Onion, Garlic and Black Pepper were also flawlessly executed. 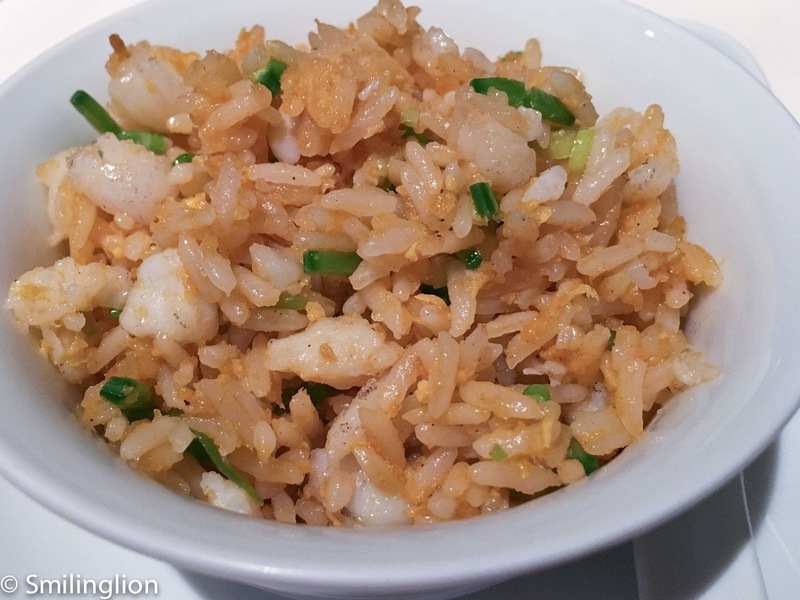 And the meal ended with the Lung King Heen Lobster Fried Rice with Seafood, Sweetened Almond Cream with Egg White and Baked Peanut Puffs with Sesame. 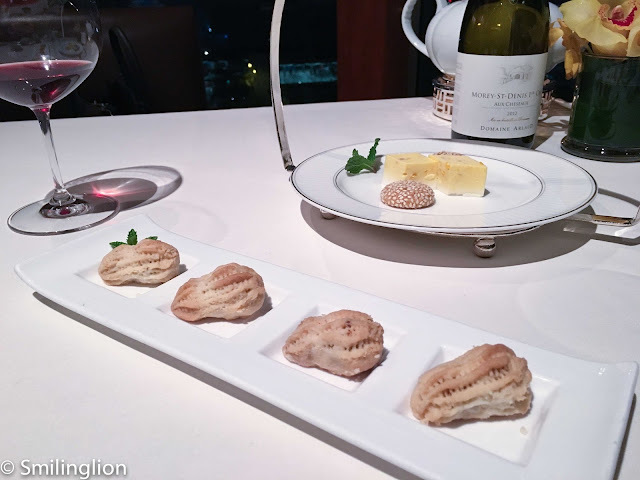 With the exception of the Baked Peanut Puffs which we thought was ordinary, every other dish was sublime. Food aside, the whole experience was more akin to dining at a fine dining French restaurant than a Cantonese restaurant. 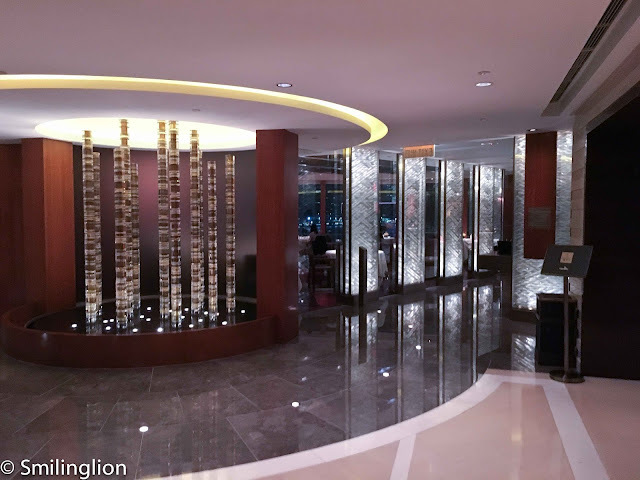 On that basis, we understood how Lung King Heen could have been awarded, and has since maintained, its three Michelin stars.